With blue skies and glorious sunshine it would seem that summer has officially arrived in Cornwall. 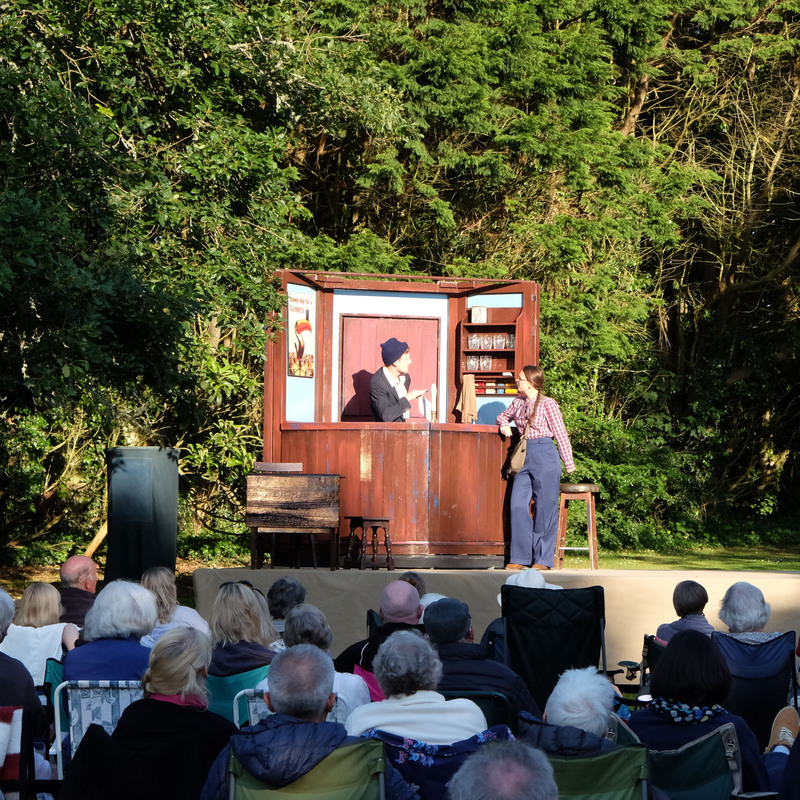 In celebration, Miracle Theatre is getting into the swing of the open-air theatre season, with opportunities for guests to see raw Cornish talent performing in various venues across the county and beyond. 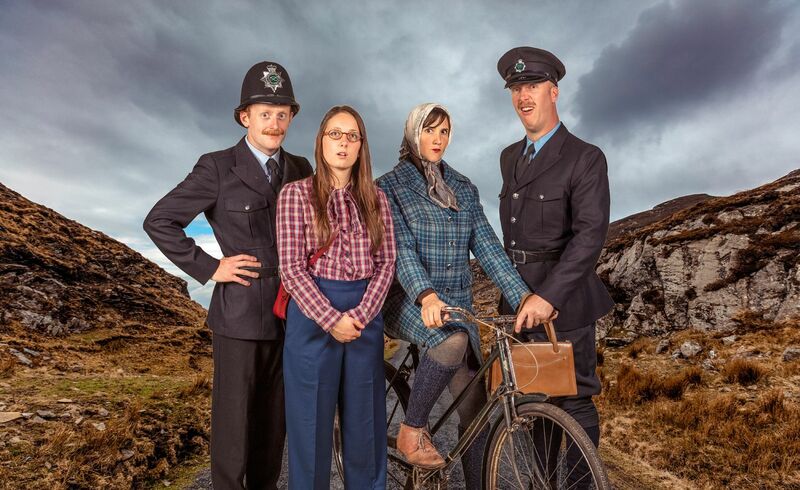 The group is currently touring The Third Policeman, a surreal adventure written by Flann O’Brien, who has been touted as one of Ireland’s great comic geniuses. We were thrilled to have the group performing on our doorstep again and keen to see how the talented bunch would stage The Third Policeman, promising a blend of ’Alice in Wonderland and the Marx Brothers’. 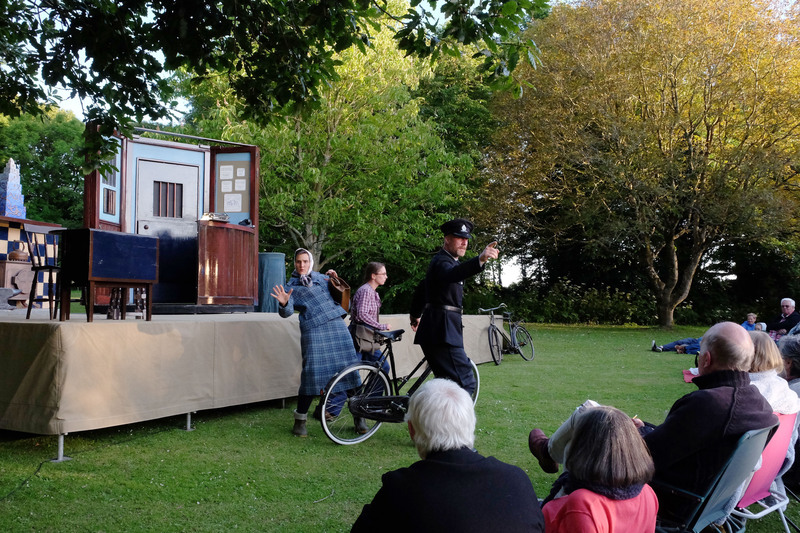 So we jumped at the chance to attend a showing, performed within the gardens of The Old Vicarage in Gwinear, which was as idyllic and serene as it sounds. We weren’t disappointed by the hilarious scenes which unfolded throughout, with a slightly mind-bending story ‘where the earth is not round but sausage-shaped and night is actually an accumulation of black air; where eccentric policemen fall in love with bicycles and you can visit eternity via a rickety lift, hidden in the heart of rural Ireland’. 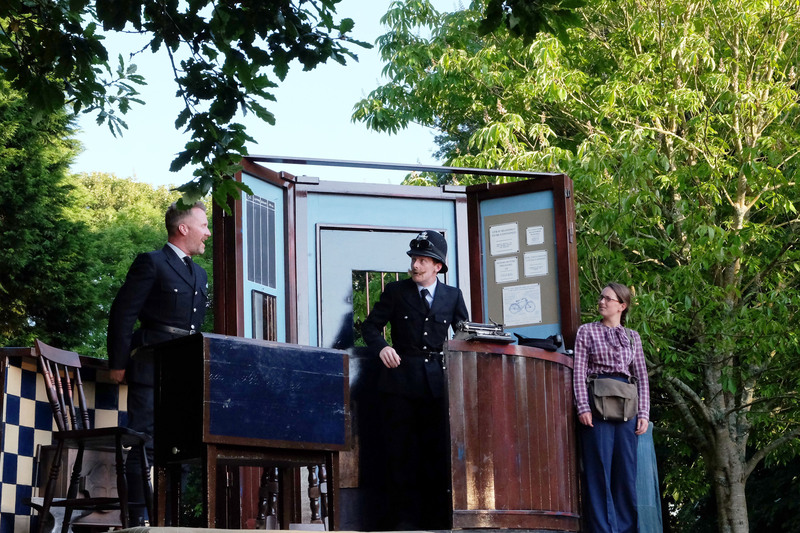 Actors Ben Kernow, Catherine Lake, Ben Dyson and Hannah Stephens performed their (slightly mad) characters wonderfully, prompting regular roars of laughter from the crowd, and we left with aching jaws from the ear-to-ear grins we donned throughout. The Third Policeman is on tour through the West Country this summer, with performances in Bath, Frome and Birmingham. Locations closer to home include The Isles of Scilly from 27 to 30 July; St Mawes Castle, with a ferry from Falmouth on 8 August; and Nancarrow, a 100 acre working farm near Truro on 17 August. We would highly recommend the show to everyone and anyone above the age of eight, and guests are encouraged to bring their own picnics to enjoy an hour or so before the show starts, to make an evening of it. Refreshments are also available at each performance. For more information, dates and venues, visit the website at www.miracletheatre.co.uk. Images by Barefoot and Miracle Theatre.